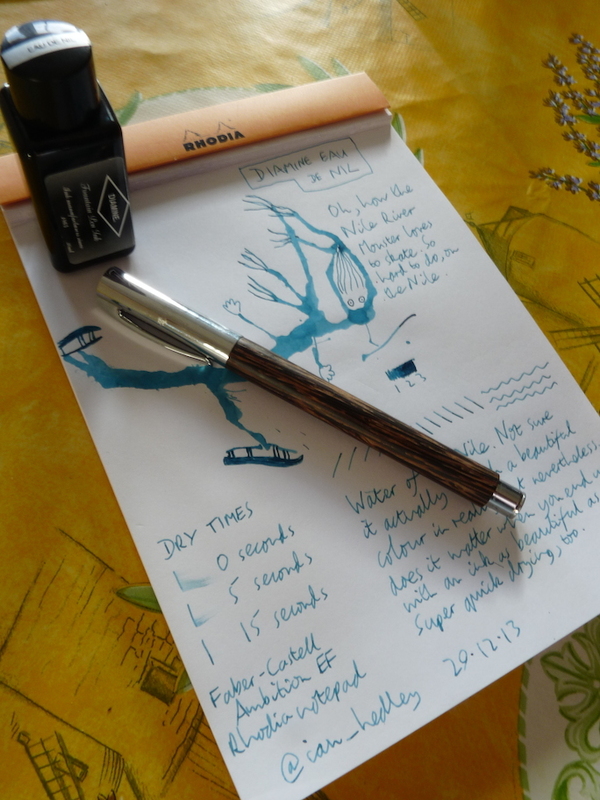 Diamine Eau de Nil ink review – Pens! Paper! Pencils! Continuing the theme of beautiful must-have inks, here is Diamine’s Eau de Nil. Nile Water. 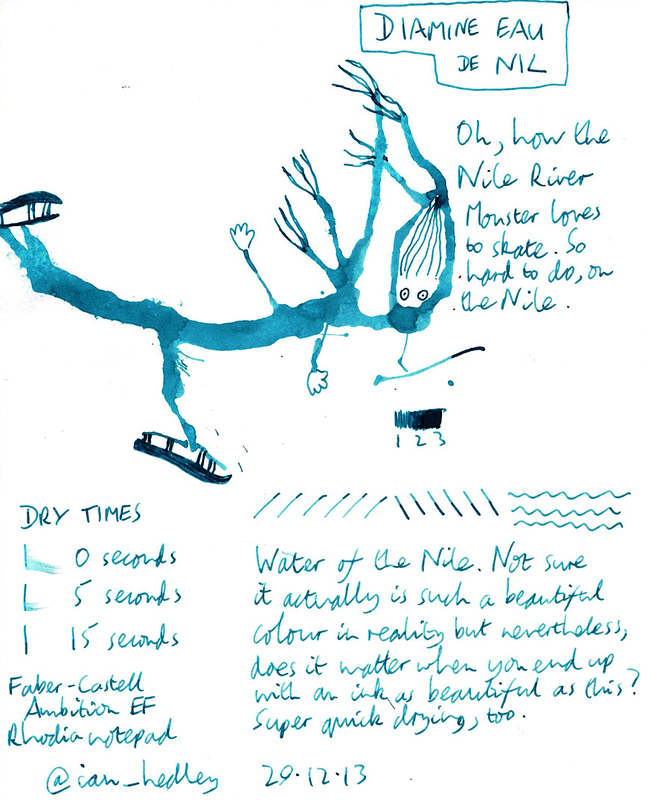 Having looked at a few pictures of the Nile I think it perhaps depends where on the Nile you are. But in this particular part, it’s a very lovely colour indeed. There’s some shading too. And it’s very quick drying. Another essential ink. Here’s a video of me doing the doodle.